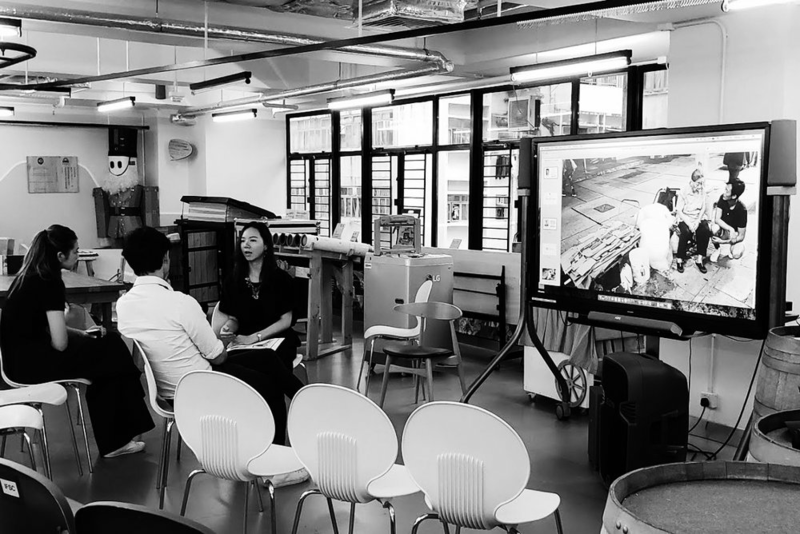 We were thrilled to work with the Jane Goodall Institute again for their event, Screening and Sharing: Sustainable Fashion, at the Jockey Club Upcycling Centre in Wan Chai, 29 June 2018. Event speakers included Kayla Wong from ethical brand Basics for Basics and V Cycle’s very own founder Eric Swinton, both spoke on the topic of sustainable fashion, namely how people can learn to make clothes with sustainable materials. Eric also used the opportunity to speak on V Cycle’s mission to tackle Hong Kong’s environmental issues and to give back to the community by providing jobs for the underprivileged in our city. He also introduced V Cycle’s groundbreaking 10 Tonne Challenge and how it brings awareness to the plight of waste pickers and how we can support and care for them. Additionally, topics surrounding the education of the importance of recycling PET bottles was also discussed, as these wasted bottles can be transformed into textile products. The event also included a movie screening of he True Cost, a documentary about the history of clothing that was shot in various countries around the world. Not only an informative film, but it brings to light facts about where clothes come from, who makes them and how the fashion industry impacts our environment. We hope that with sustainability-focused events in the future, more and more people will open their eyes to the harmful impact of mainstream fashion and how sustainable clothing paves the way for a better world future.